This Safavieh Courtyard area rug is a great high-quality option for livening up your home. Decorate the right way with this indoor/outdoor piece constructed from plush synthetic material. Since it is machine-made, you can trust the quality on this rug. This floral plants patterned blue rug makes a bold statement in your hallway, dining room, or even living room. 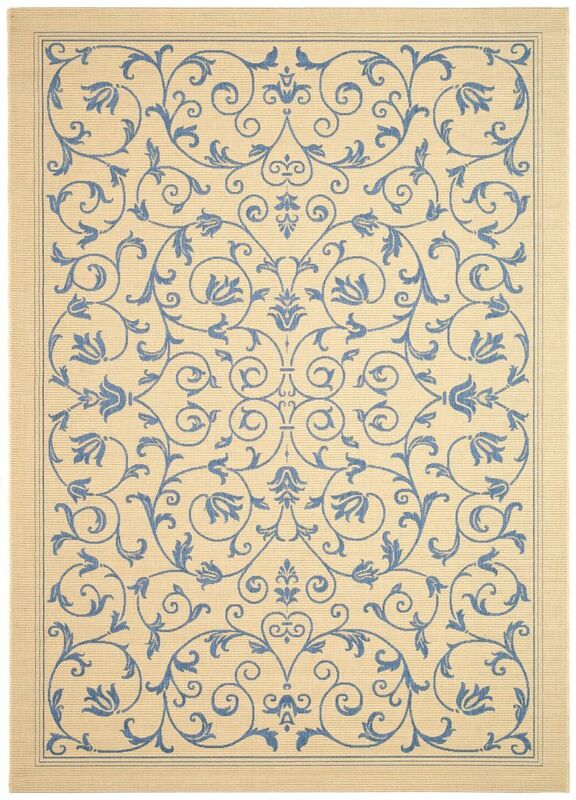 Courtyard Blue 5 ft. 3-inch x 7 ft. 7-inch Indoor/Outdoor Rectangular Area Rug - CY2098-3101-5 This Safavieh Courtyard area rug is a great high-quality option for livening up your home. Decorate the right way with this indoor/outdoor piece constructed from plush synthetic material. Since it is machine-made, you can trust the quality on this rug. This floral plants patterned blue rug makes a bold statement in your hallway, dining room, or even living room.